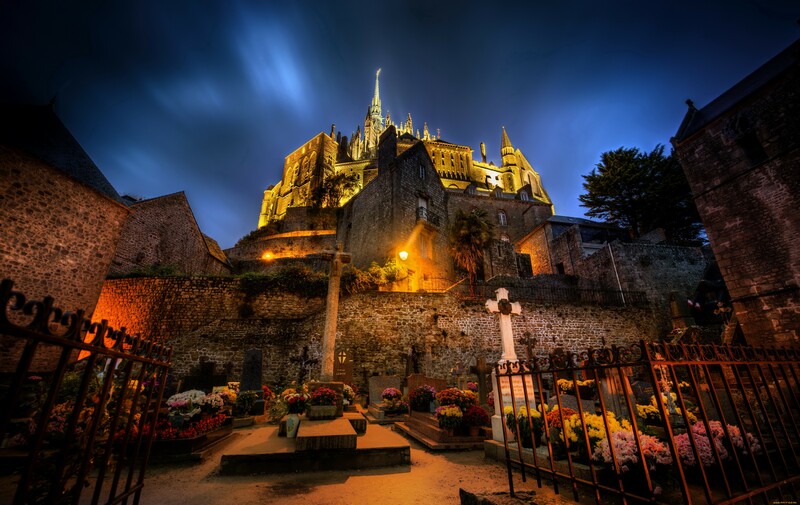 The appearance on the map of the Mont-Saint-Michel is shrouded in a veil of myths and legends... 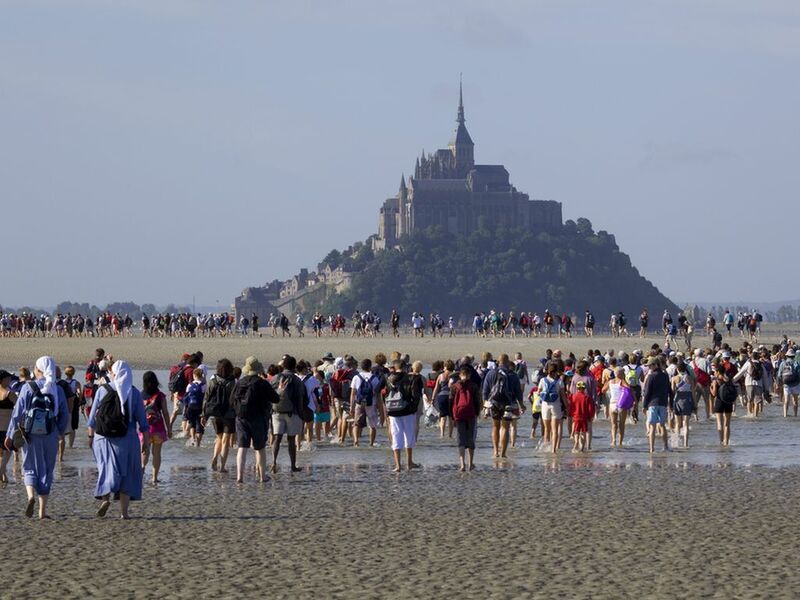 According to the first version, two rocks, which later became the islands of Mont-Saint-Michel and Tombelaine, were dragged into the water by giants: parents of giant Gargantua. But they failed to bring them far since on the way the giants got so tired that dumped heavy lumps almost at the beach. The second version is that the root cause of the birth of the island was a storm that raged here in the early 8th century and changed coastline. Part of the coastal land forever disappeared under seawater, and then under quicksand, and two lonely rocky hills turned into islands. Special interest enjoys the upper tier of the castle - vertiginous section being nicknamed "La Merveille" ("The Marvel" in French). Admission to the upper tier, which holds religious relics, costs between 9 and 18 euros. "Miracle" is divided into two sections, each has three floors. There are plenty of facilities used for completely different purposes. On the ground floor on the east side there are premises where monks gave shelter to pilgrims. Now here is a shop with souvenirs. Above it there is a guest accommodation in which the Abbot met visitors. Here, one of the two fireplaces, they cooked food. On the second floor there is a former monastery refectory. It is worth mentioning the magnificent gothic architecture of the place: high columns, large windows, spacious rooms and round arches make the castle look light, as if filling it with fresh Norman breeze. Tour around the Abbey also includes a visit to the Church, which now operates in the Mont-Saint-Michel, Gabriel Tower, guardroom, beautiful terraces... The main point in the tour is a visit to Crypt of Large Pilars and the most ancient part of the Abbey - the underground crypt of Notre Dame, built in the early 10th century. Once again, the waves are beating against the impenetrable wall of an ancient castle, as if trying to compete with it in power, till there is time to retreat... Legend has it that in ancient times this force of nature used to take away lives of lonely stray wanderers, and large carriages who inadvertently chose this path. 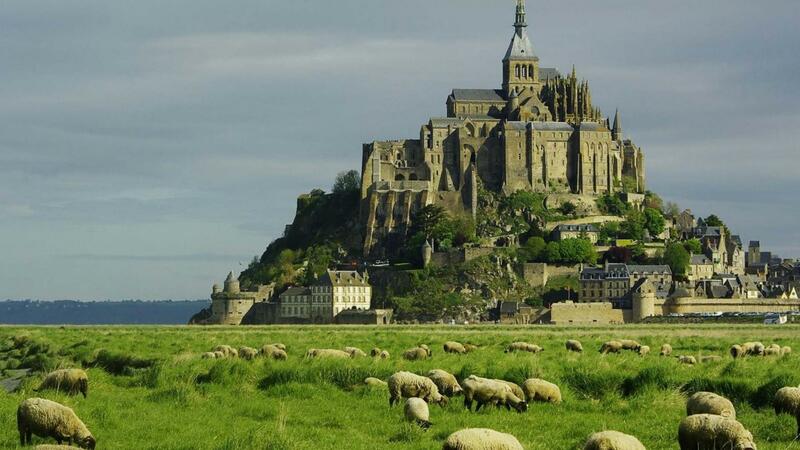 Now, thanks to its unique natural features, the bay of Mont-Saint-Michel is considered as environmentally important area for farming famous Norman mussels. Those who decide to visit this charming place, have to study the schedule of high and low tides, to feel comfortable and safe. Particular attention to the schedule should be paid by tourists traveling in cars: the higher the water level, more flooded is the Abbey territory, in particular, when water is 12.5 meters high, driveway begins to sink. France is too big and diverse country to see a moveable feast of Paris only. After a few days in the city of Montmartre and the Champs-Elysées, one can afford going to the less publicized destinations. For instance, Burgundy town called Dijon is located relatively close to the capital. It is worthy of a visit and is able to surprise. No wonder they say, little pigeons can carry great messages. Mon amour, mon ami… All most beautiful words and songs of love sound in French. 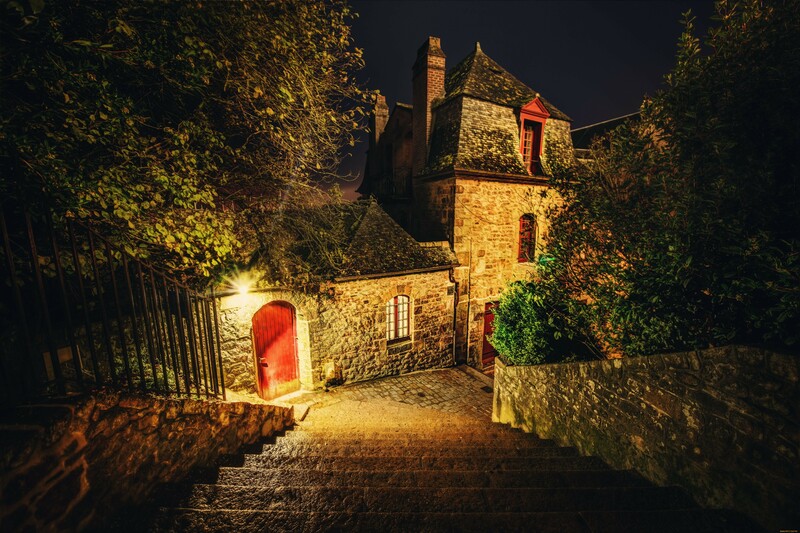 Review every curve of France and find privacy in province of Provence that gently swings in the south-east of Brigitte Bardot and Antoine de Saint-Exupéry. Ancient cities from Marseille to Monaco are penetrated with lyric antiquity so ideas of staying at Côte d’Azur keep coming back to your head. Probably, every person on Earth knows the myth about the famous Babylon Tower that different peoples were destined never to build. Surprisingly, what failed in fiction occurs before our eyes: tens of various peoples peacefully reside in Belleville, neighborhood in Paris, and erect Tolerance Tower, for everyone to see.